The premium location of Miami, in our eyes, is Miami Beach! What’s better then living on Miami’s amazing shore lines and enjoying the most beautiful sunsets the world has to offer? Our job is just to make sure everything’s well secured and remains safe! Miami Beach locksmith services are best found right here- Quickly Locksmith! 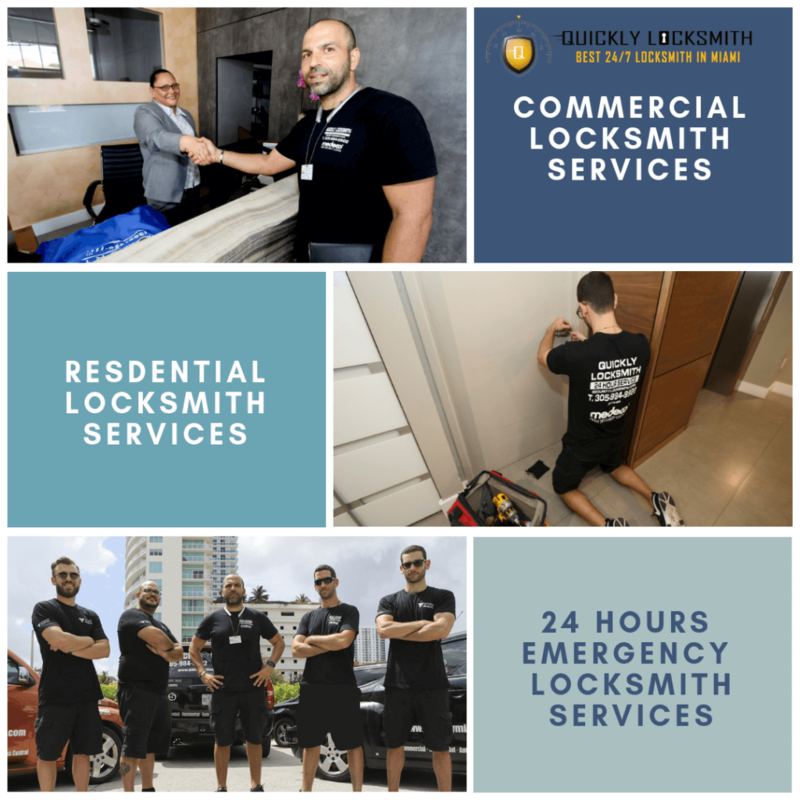 We’ve been around for over a decade providing prompt locksmith services for both residential and commercial clientele– we know the area all too well when it comes to security requirements, varied clients further needs, and of course the quickest way to get to you when you call us with a 24/7 emergency locksmith Miami Beach call! Almost all residential & commercial properties in Miami Beach offer outdoors space- because who want to miss out on all that sea breeze? The simple solution is to secure outdoors space with security cameras and use smart gates locks – Quickly Locksmith offers you to reap the fruits and knowledge of our rich experience and our variety of Miami Beach locksmith’s services and ask our expert locksmiths for any further security and locks advisement regarding your property! Or to put it in other words- trust! You want to choose a locksmith you can 100% put your trust in- for all your local Miami Beach locksmith service’s needs; here at Quickly Locksmith you’re getting a reliable service, trustworthy certified locksmiths and great cost-worthy products. We also offer 24/7 emergency locksmith Miami Beach services for both residential & commercial clients.